February 27, 2018 Patrick R.
Datacomp, publisher of JLT Market Reports and the nation’s #1 provider of market data for the manufactured housing industry, today announced the publication of its February 2018 manufactured home community rent and occupancy reports for Michigan. Recognized as the industry standard for manufactured home community market analysis for more than 20 years, JLT Market Reports provide detailed research and information on communities located in 135 major housing markets throughout the United States, including the latest rent trends and statistics, marketing programs and a variety of other useful management insights. Datacomp’s manufactured housing market data published in the February 2018 JLT Market Reports includes information on 408 “All ages” and “55+” manufactured home communities located throughout Michigan. Altogether, the reports include data representations for 122,012 homesites. JLT Market Reports also include management insights that rank communities by number of homesites, occupancy rates and highest to lowest rents. Established reports show trends in each market with a comparison of February 2018 rents and occupancy rates to February 2017, as well as a historical recap of rents and occupancy from 1996 to present date in most markets. The February 2018 JLT Market Reports for Michigan are available for purchase and immediate download online at the Datacomp JLT Market Report website at www.datacompusa.com/JLT, or they may be ordered by phone in electronic or printed editions at (800) 588-5426. Each fully updated report for mobile home communities is a comprehensive look at investment grade properties within a market, enabling owners and managers, lenders, appraisers, brokers and other organizations to effectively benchmark those communities and make informed decisions. The JLT Report Summary that covers 2017 shows annual increases in adjusted rent and occupancy rates across the board, for all ages and 55+ communities in nearly every region of the country. Only in the southwest United States did occupancy rates dip, and by just 0.2 percent in retirement communities, while all ages communities in the region experienced a 1.7 percent increase. Occupancy rates nationwide rose 1.1 percent from 2016, with all ages communities bumping up 1.4 percent to 90 percent and retirement communities increasing 0.7 percent to 95 percent nationwide year over year. Adjusted rents increased nationwide year over year by 3 percent for all communities to $533 per month. The same rents at all ages communities rose 3.1 percent to $477 monthly as of Jan. 3. For more than 20 years, countless professionals have trusted JLT Market Reports for timely and accurate management reports on land lease manufactured home communities. JLT Market Reports are currently published for 131 markets nationwide and are recognized as the industry standard for manufactured housing industry data. 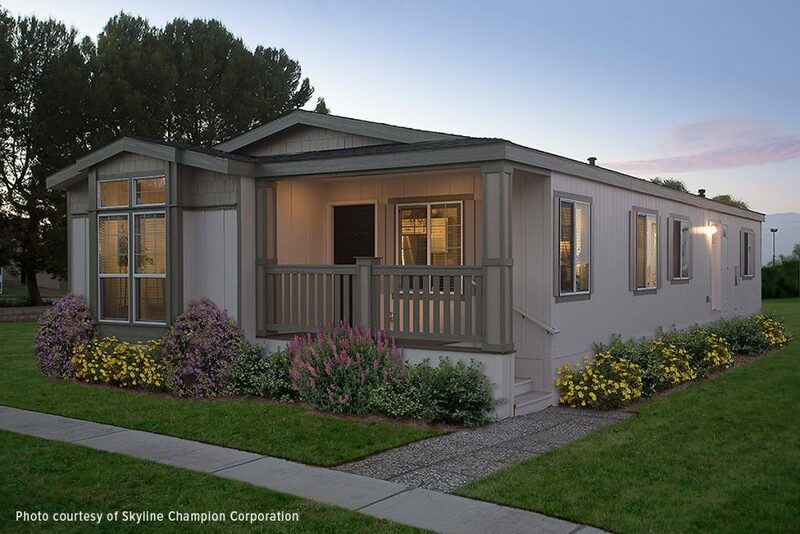 In 2014, JLT & Associates merged its resources, skills and expertise with Datacomp, the industry’s oldest and largest national manufactured home appraisal company and number one provider of market data for the manufactured housing industry, and MHVillage, the premier website for advertising mobile homes for rent and sale nationwide. For more information, or to purchase complete JLT Market Reports, call (800) 588-5426 or visit www.datacompusa.com/JLT.